STRIPFLOCK *PRO* is new and has slightly different instructions. 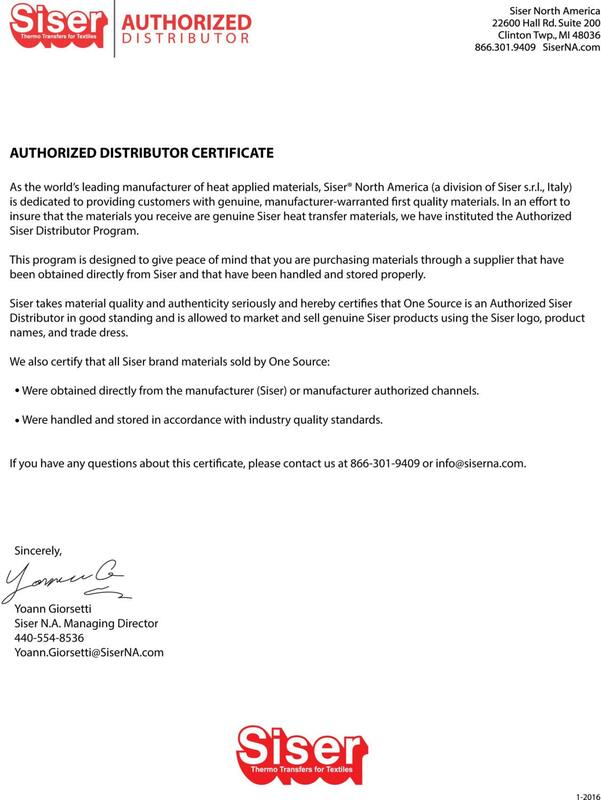 Please place your color choices in the Note from Buyer section of order. You can pick colors from the 3 different brands. 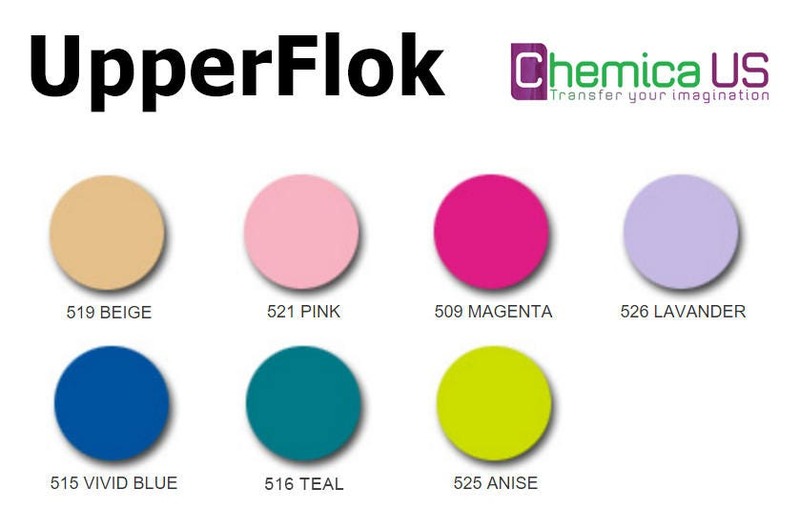 See 2nd picture for Chemica color chart. 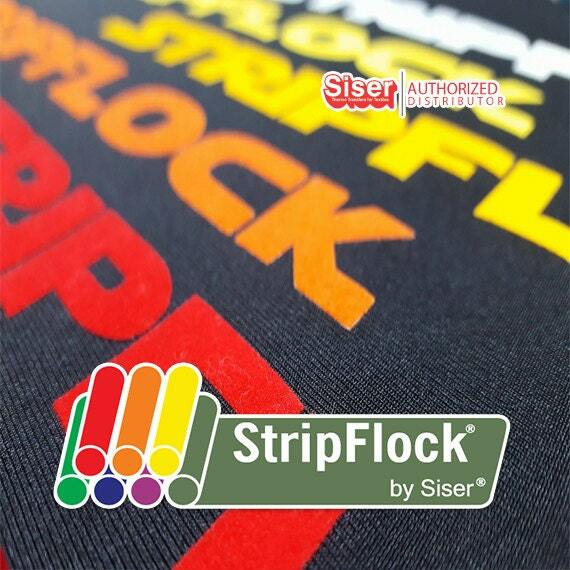 A great alternative to embroidery, StripFlock® / DecoFlock gives logos a raised, textured, suede-like feel. Excellent for retro designs or anytime you want a rich look. 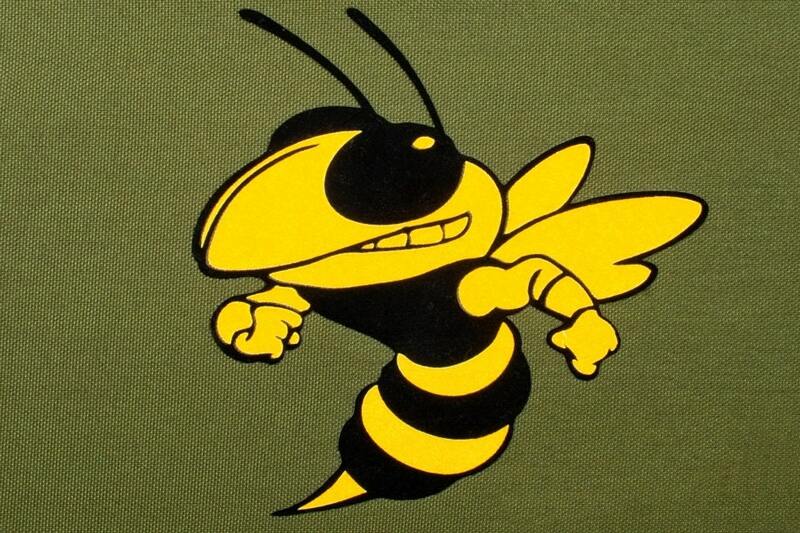 Stripflock® can be used as a base layer and covered with other materials, giving a very unique, high-end look to logos and designs. In addition, StripFlock® is very opaque and has deep, rich colors that are great for animal prints and for layering on top of other materials. 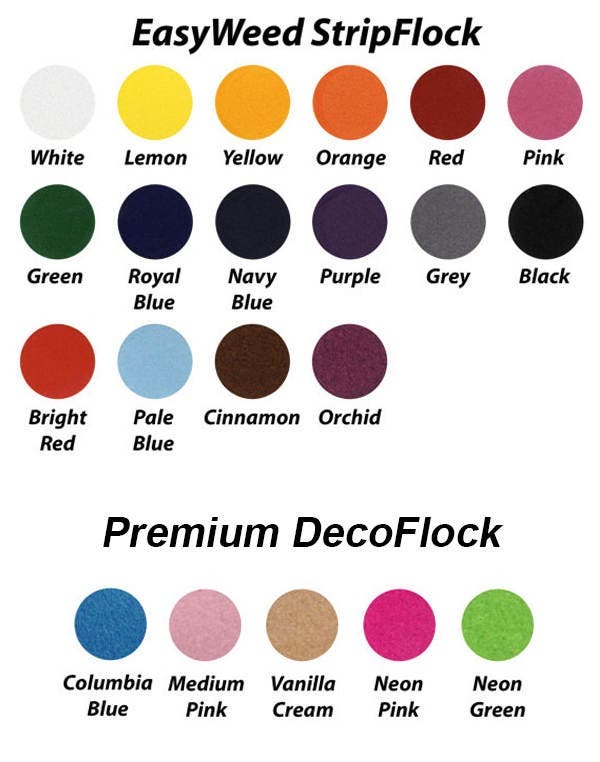 The following colors are Specialty Materials DecoFlock: Medium Pink, Columbia Blue, Turquoise, Vanilla Cream, Neon Pink and Neon Green.